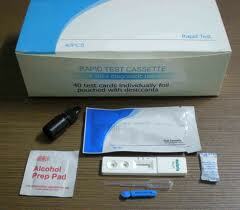 When I first arrived in Yaounde Cameroon, Anne gave me two rapid test kits and a treatment for Malaria. I put it away and thought, “why is she giving me that?” I was taking a malaria prophylactic; I brought tons of insect repellant laced with deet and I had a mosquito net. I was fortified against mosquitos. Right? Not quite. Every week I took my mefloquine; Every day about four in the evening I rubbed all exposed skin with deet and at night I slept under a mosquito net. I thought I was good; I thought I was totally protected. Yet, in all my traveling I too was vulnerable to malaria. 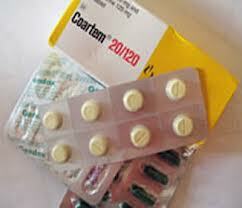 In Cameroon the drug they sale for malaria treatment is coartem. It is sold over the counter in private pharmacies and costs about $8. The cost is much less in health centers. It was easy for me to have a treatment, but it is not easy for most people in Central and West Africa. Children die everyday in Africa because they can’t afford 25 cent doctors fees or medicine for malaria or are so far from any clinic or hospital. I am writing this not only because of my experience, but because Thursday, April 25 is World Malaria Day. I would like everyone who reads my blog to give to the ELCA Malaria Campaign. As I travel to and from the continent of Africa. I will always have to be careful about a dry cough, headaches and flu-like symptoms. They may be malaria. If I am watchful, I will catch the symptoms and be able to take medication and get on with my life. So many children in Liberia, Nigeria and other places in subsaharan Africa don’t have the same access that I have. They need all of our help. So please help. I am a firm believer that “God is good, all the time and all the time, God is good.” I am a firm believer as folks say God takes care of babies and fools and I would like to think that I am neither. I have done some foolish things in my life, but being a fool well, I hope not. You are wondering, about now, what in the world I am talking about. Well, I am trying to figure out a way to talk about traffic, transport and travel in Central and West Africa. 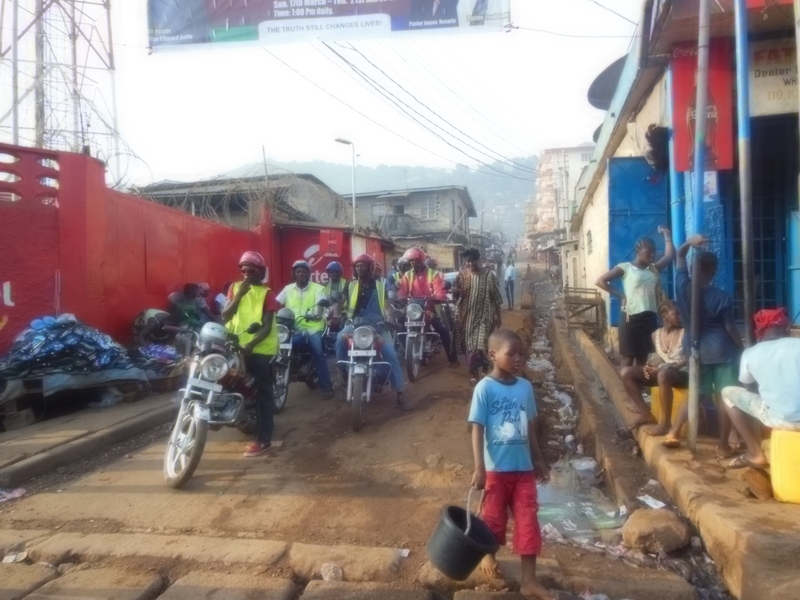 In Yaounde, Cameroon there are no lanes, no street signs and traffic lights are summarily ignored. Anne says, “they’re just a suggestion.”Cars, mostly yellow cabs go up and down the streets stopping to pick up passengers and cutting in at will. It’s hard to describe the chaos but it is fascinating to watch. 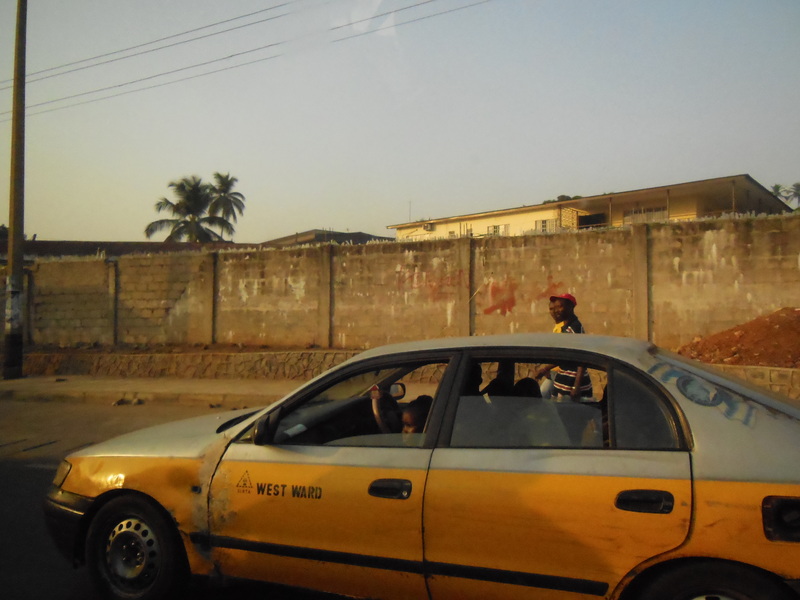 All this takes place while mototaxis dodge, weave and speed between the cars. Sometimes they are carrying as many as three people plus the driver. It is harrowing. In Sierra Leone, they at least have street signs, but most of the time traffic is at a stand still. It took two hours to move a bus I was on five miles…and no I am not exaggerating. Traffic and transport is quite an experience. In Dakar Senegal, traffic is congested as it is in any large city. 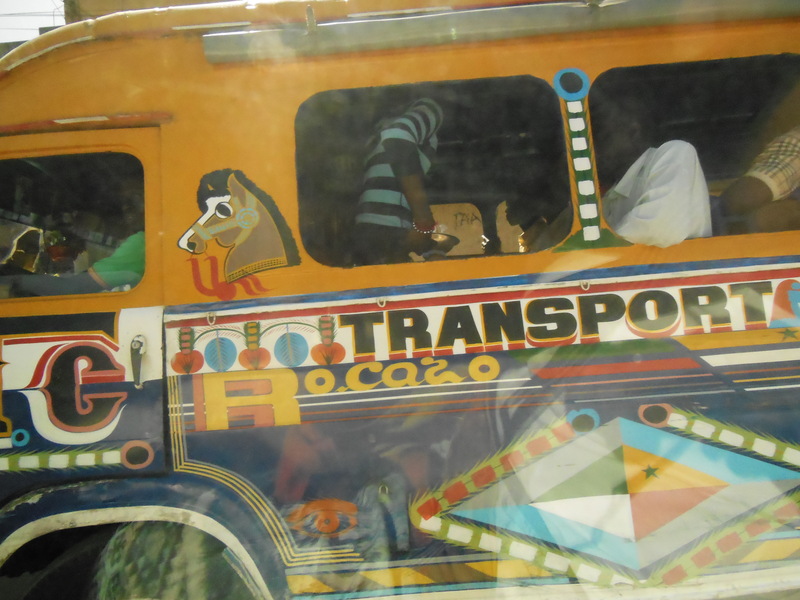 The nice thing is that while you seat in traffic you can read the writing and admire the colorful artwork on the buses. The conditions of the cars, mini vans and buses are also a sight to behold. Sometimes they seem to be held together by tape and wire. Pierre Marie, one of the taxi drivers that took me to do errands on a regular basis had a wire clothes hanger as a door handle. Windshields are cracked, broken or missing, bumpers hang off and people pack in. Sometimes there are as many as five people in the back and four people in the front in a small Toyota Corolla. I have even seen buses loaded with people with additional people and baggage on the roof luggage rack. It is a terrifying sight, especially when many of the roads are only graded dirt with ruts and gullies. I must say there was never a dull moment being transported in Central and West Africa. Even flying from one country another is an adventure. On my way to Dakar Senegal from Yaounde Cameroon, we stopped in at least three other countries. I Abidjan, Ivory Coast have seen the landscape close to the airport in Abidjan Ivory Coast, Lome Togo, Liberville Gabon, Bamako Mali, and Banjul Gambia. So my travel had plenty of travel. Like I said there is never a dull moment on the streets of Central and West Africa. Traffic, transportation and travel is really a trip. That will never deter me from being continually westafricabound.